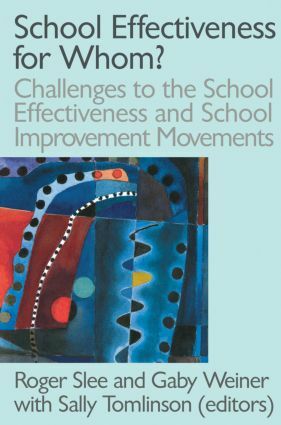 School effectiveness research together with what is now described as the 'school improvement movement' (Barber, 1996) has captured both the Conservative and New Labour imaginations as a basis for educational planning and policy making in the UK. Internationally school effectiveness enjoys and expanding and enthusiastic audience. This book provides a critique of this research genre, particularly in the light of the recent calls for teaching to go 'back to the basics'. The editors argue that this school effectiveness research is simplistic in its analysis of educational problems. Far from getting to the bottom of the problem of failing students and schools, they argue, these 'movements' are merely scratching at the surface of the problems and coming up with notions for superficial improvements.